CAMP EGRET: "Out on a Limb"
July 15–19, 2019 9 a.m.–3 p.m. Explore the magnificent world of trees through five days of outdoor adventure! We'll depend on all of our senses—sight, sound, taste, feel, and smell—to experience and identify the trees that grow around us. We'll use trees for climbing, campfires, fort building, scavenger hunts, and snacking. We'll also meet some of the animals who depend on trees for survival. 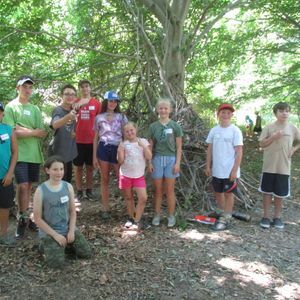 Tree-inspired art projects, games, and daily hikes will add to the camp experience.